Are you joining us for the Windsor Women’s 10K? Your first 10K is a step into the unknown. What happens when you turn up on the day? How do the timings work? What will the day be like? Here’s exactly what you can expect from the Windsor Women’s 10K – we look forward to seeing you there. It’s natural to feel nervous about any running race, especially if it’s your first time doing the distance. At the Windsor Women’s 10K we aim to make it an excited kind of nervous! We’ll send all the info you need via email, and our website is kept up to date. Our Facebook page is buzzing, too, so you can get lots of information there. On the day, you’ll find a warm and welcoming atmosphere. There’s nothing quite like lining up to start your first 10K! But what makes the Windsor Women’s 10K special is that everyone on that start line will be like you… busy women who have worked hard to train for this race. The start line will be buzzing with positive excitement. This happens to the even the most experienced 10K runners! It’s easy to get carried away with the excitement of the race starting, and set off too fast. This inevitably means having to adjust your pace, and possibly finishing slower than you’d like. 4 It Will Be Uncomfortable! If 10Ks were easy, everyone would do them. This is why you’ve set yourself this awesome challenge. Be prepared for the race to feel challenging, or even a little painful. See it as a positive thing – this means you’re pushing your mind and body to new places. One thing you might not expect from your first 10K is the incredible levels of support! We hope you’ll bring your own support crew to cheer you on. But if you don’t, no worries – there will be plenty of support for you! The Windsor Women’s 10K is such a friendly and popular race. You’ll be amazed at the atmosphere. Top tip: get ready to be cheered on whether you’re a front runner or right at the back! Not all 10K races are as scenic as ours, so try to enjoy your surroundings. We’ve chosen a route that gives you some great views, plenty of greenery, and a sense of space. You won’t feel boxed in or crowded. Top tip: if you’ve never been to Windsor, this is a great way to see the sights! You’re probably already thinking about how it will feel to finish your 10K, but nothing can prepare you for crossing the line of the Windsor Women’s 10K. Our friendly crew will be there to congratulate you and show you where to go next, plus you’ll receive your finishers’ goodies of course! Top tip: enjoy it! You’ve worked hard for this moment. 8 I Want To Do That Again! Believe it or not, you’ll probably want to do it all over again (maybe not straight away!) And why not? You trained hard, picked a great race, and had an amazing time. At first you might be saying that you never want to run another step again. But it won’t be long before you start thinking about your next race… the only question is, will it be another 10K, or something a little longer? 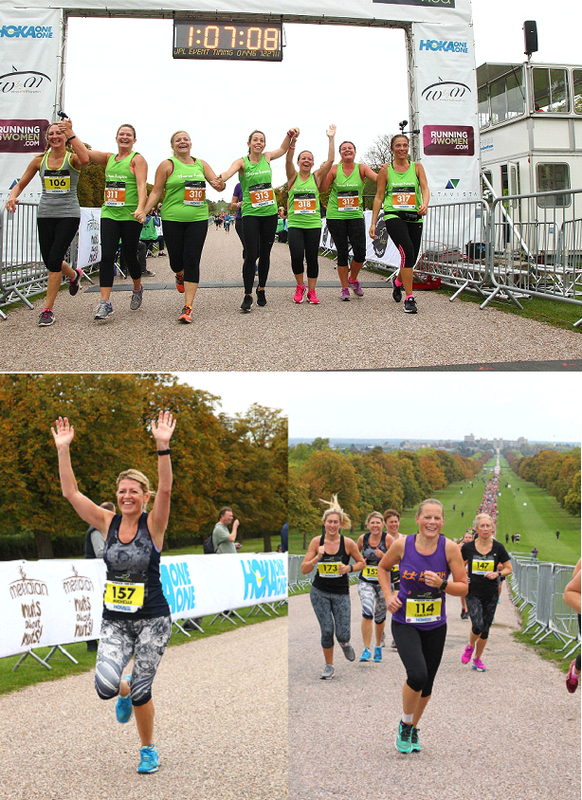 Top tip: take a look at the Windsor Half Marathon in September….plenty of time to train! We’d love to see you there next year. Are These 8 Things Holding You Back From Running Your First 10K Race?